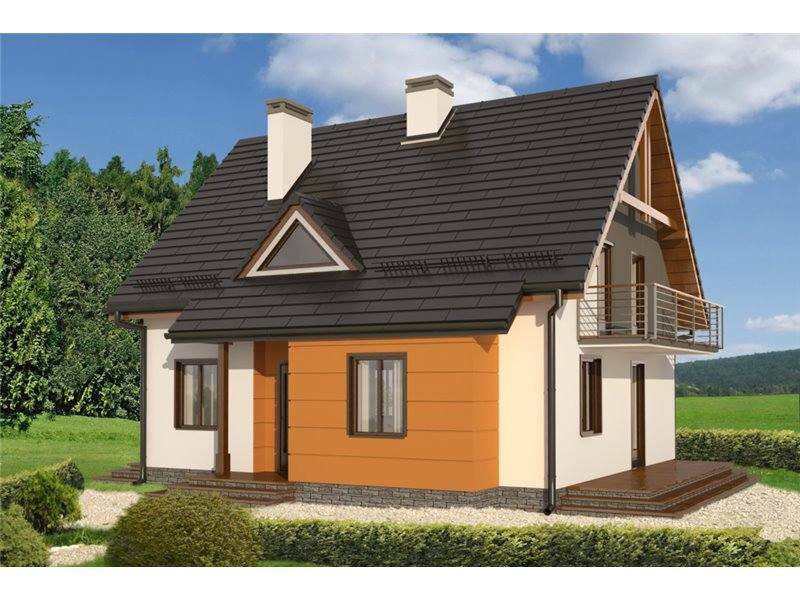 The first house has a useful area of 105 square meters and a key price of 39,000 euro. 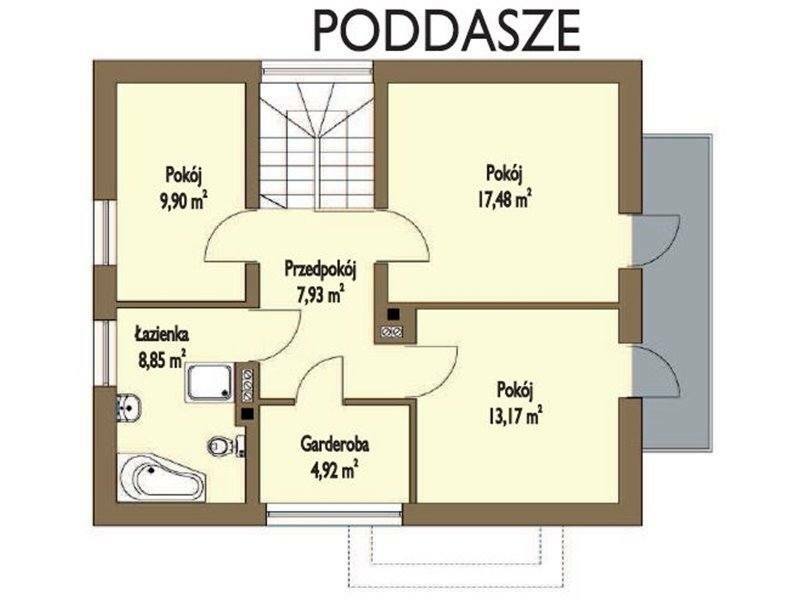 In terms of sharing, the house has a living room, a living room, kitchen, two bedrooms, both upstairs, and two bathrooms. 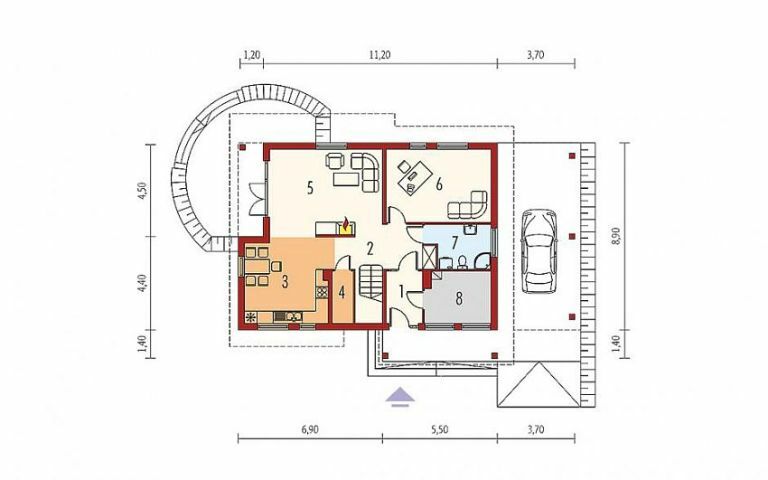 The living room, dining room and kitchen are merged into a large space which then opens into a large terrace of 27 square meters, which comprises the house on two sides of its. Access to the house through the front is done by a smaller terrace this time, under the roof of one of the two bedrooms upstairs. The house has a simple design with a note of dynamism impregnated by decorative bricks and wooden pergola. 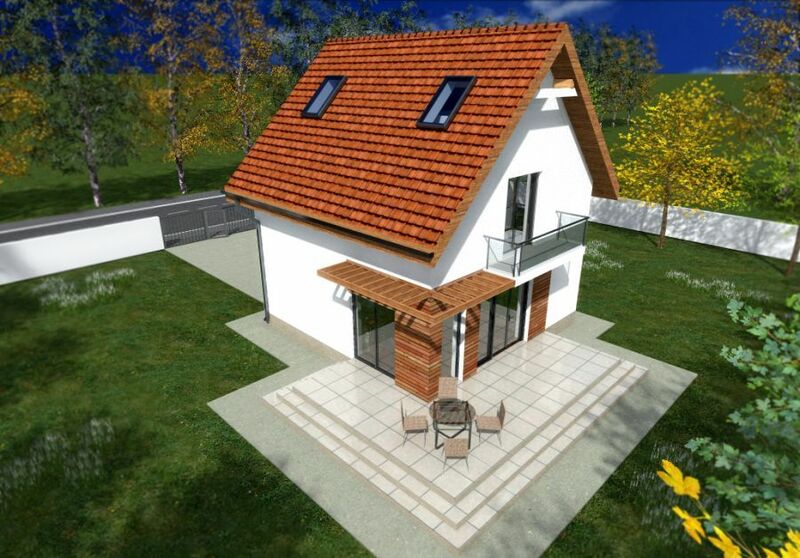 The second model is a house with a ground footprint of 179 square meters and a key price of 79,000 euros. The house is distinguished by rich and elegant facades dressed in brick, including exterior support poles, in superb contrasts with the rest of the surfaces. 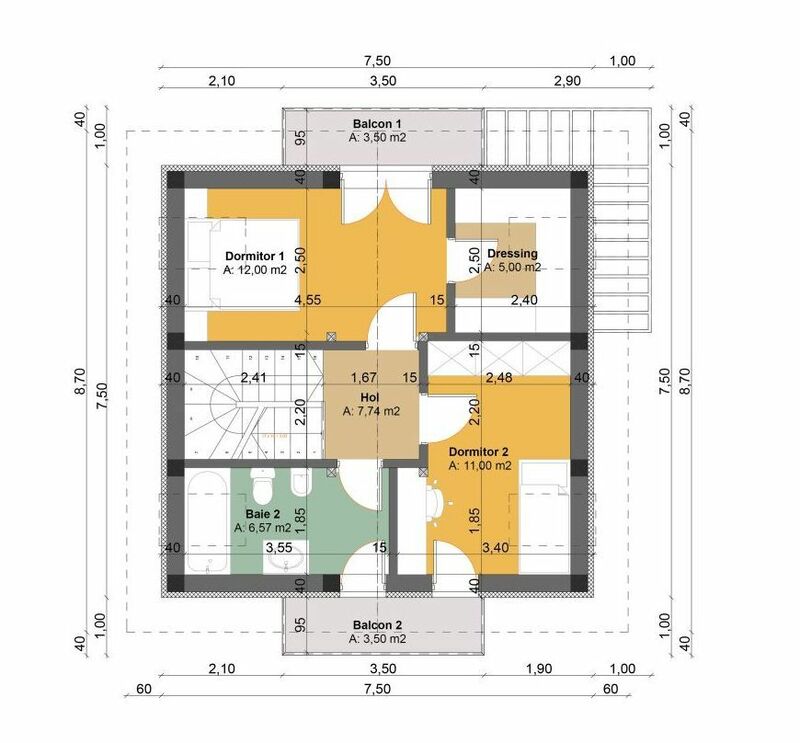 The ground floor reunites open living spaces, expanded outside through a round terrace, a bathroom, a desk and a technical room complementing this level. 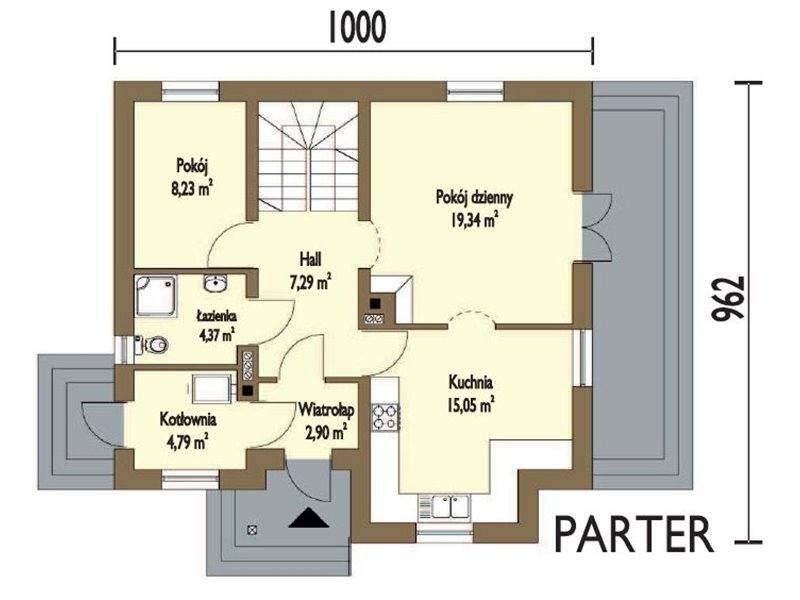 Upstairs there are three bedrooms, one of them with access to a balcony. 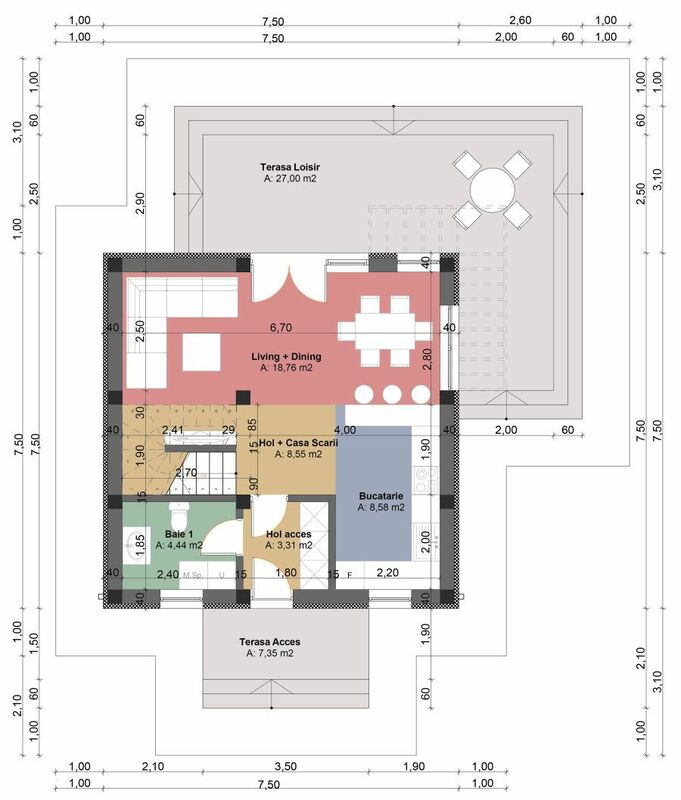 The last project is a house with a built area of 135 square meters and a ground footprint of 117 square meters. 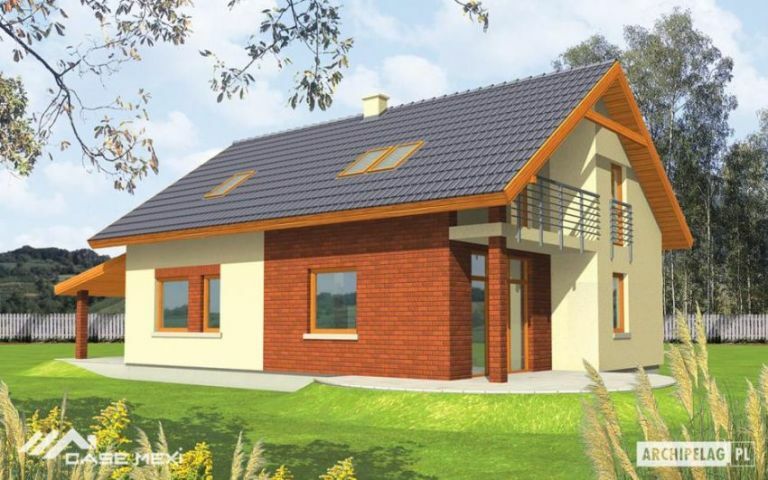 As far as costs are concerned, the key price for this construction reaches about 61,000 euros. Splitting is a convenient one for a family of four or five members. 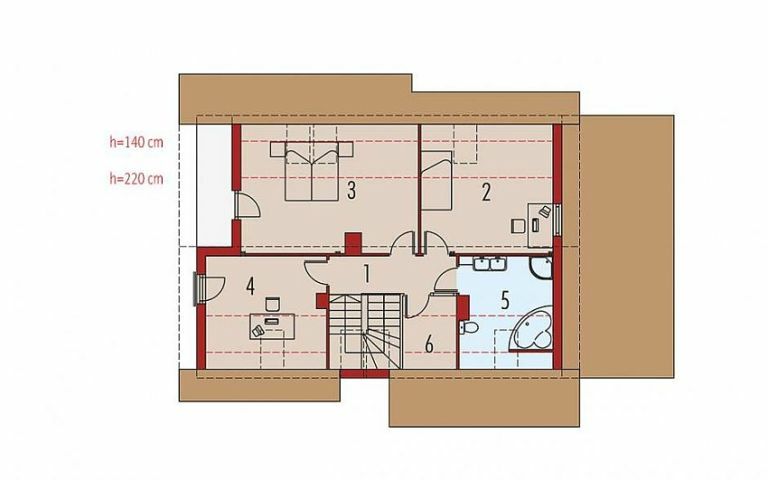 Thus, on the ground floor, the plan proposes the living spaces, to which a bedroom is added, which can be transformed into the office, if necessary, while in the attic there are three other bedrooms sharing a bathroom.